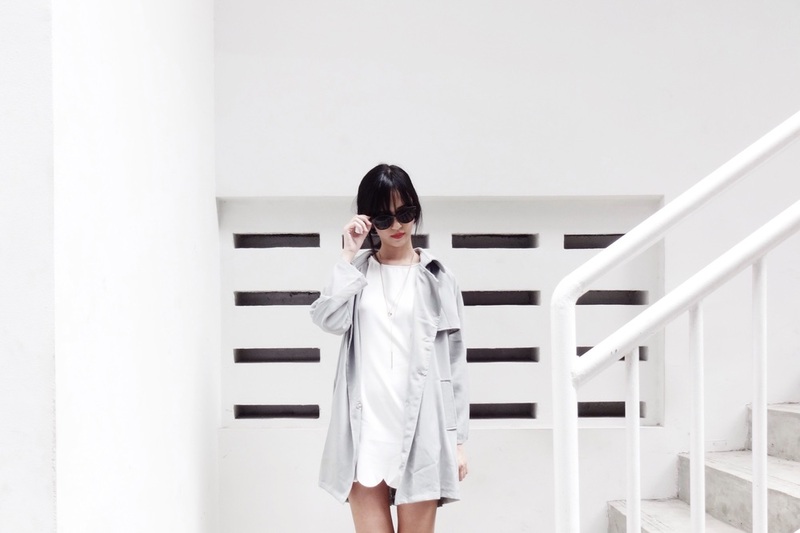 Crisp white shift dress with scallop trimmings + a dusty grey oversized parka. My kind of clean ensemble put together within less than a minute. Happy weekends!